Most people are excited when the warm weather starts to cool off and the trees start to change. People who suffer from allergies, and especially allergy-induced asthma, often dread this time of year. 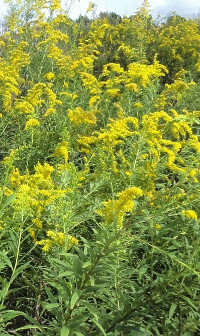 In Raleigh at this time of year ragweed is widespread and a big reason that there are so many allergy issues. Allergy induced asthma is a different story, from July to late into the summer there is an increase of mold spores in the air. As the beautiful leaves turn and fall off the trees, the humid moisture normally present in Raleigh summers is a breeding ground for mold. For those with pollen allergies, a big sigh of relief comes when we get first frost. But unlike pollen, mold does not die with the first frost. People who have a high mold sensitivity have to wait for winter to set in when the mold becomes dormant for relief. It has been documented that people have been using acupuncture for allergies and asthma since at least the year 1155. Symptoms and intensity of allergy and allergy-induced asthma are varied Acupuncture gets right to the heart of the issues addressing both the underlying causes and current symptoms. Most of the time people get treated with acupuncture for allergies in order to prevent allergies and asthma. Though on several occasions and with great success, we have also used acupuncture to stop asthma attacks as they are occurring. I take special joy in helping allergy and asthma patients because of my history of suffering from similar issues. When I moved to Raleigh, NC, my seasonal allergies were finally under control, thanks to acupuncture (read more here). Unfortunately, I began to have sudden episodes where I would start to wheeze and my breathing would be constricted for the rest of the day. I began to treat myself with acupuncture and was able to get my new allergy-related breathing problems under control. They went from being something that severely impacted my daily life to more of a tiny bearable nuisance when they occasionally happen. Acupuncture treated the cause of my allergies rather than merely masking the symptoms like allergy medicine does.